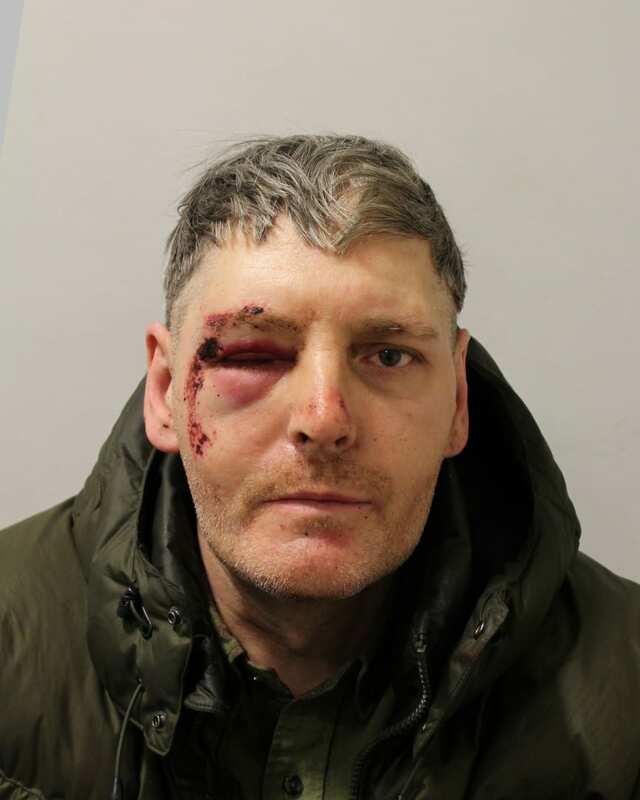 Jason Higlett, 47 (24.10.71) was convicted at Highbury Corner Magistrates Court on Thursday, 21 March after pleading guilty to possession of an imitation firearm and possession of a lock knife. He appeared at Wood Green Crown Court on Monday, 15 April where he was sentenced to 24 months’ imprisonment for possession of the imitation firearm and 12 months for possession of a bladed article, to run concurrently. On Tuesday, 19 March at 17:05hrs, police received a call to Brick Lane in Enfield from members of the public who had reported that a man was brandishing a handgun. Specially trained firearms officers were deployed and spoke with the informants. One witness confirmed that the suspect had waived a gun and threatened her not to look at him. She then ran off in fear believing that she was going to be robbed. A man also saw him with the gun and ran away, fearing for his life. A member of the public identified the alleyway where the suspect was last seen which was between Oldbury Road and Great Cambridge Road. As firearms officers and a police dog unit arrived, they could see the suspect wearing a green puffa-style jacket and white cap who was clearly brandishing a black handgun. The officer identified himself by shouting to the suspect, who reacted by running down an alleyway towards Oldbury Road. The armed officers pursued him along the alleyway. Officers reached the end of the alleyway and repeatedly shouted to him to show his hands and remain where he was. Higlett stopped on the corner of Brick Lane; at several points, he had his hands down by his waistband, where informants had previously stated he had kept the gun. He was also being verbally abusive towards police and telling them to shoot him. As Higlett failed to respond to the officers’ commands and in fear of their safety a Taser was deployed. Higlett was arrested at the scene. He was found in possession of a lock knife. A member of the public approached officers and stated that he had seen the suspect throw a firearm over a fence. A police dog was deployed and the gun, a black Self Loading Pistol, was recovered lying on the ground. A search of Higlett’s address revealed a locked box for an air pistol case. The key on Higlett’s possession matched the box so it was clear that the gun belonged to him. During sentencing His Honour Judge Dodd commented on the defendant’s poor offending history and that the police had difficult decisions to make when they saw Higlett with a gun in the street. He said that the witnesses were also very scared and to be on our streets with a gun and knife is quite scary.